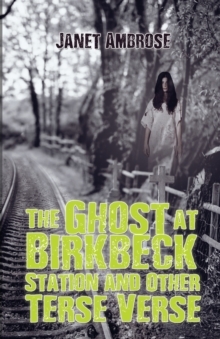 In The Ghost at Birbeck Station Janet Ambrose offers a collection of poems formed by her early years in WWII, her life in politics and her life with dogs (amongst other things). The poetry views the world through a humorous lens, even the eponymous poem which relates an unnerving tale of contact with a 'ghost' offers comic relief through a trick of light. There are doodlebugs and leaky dogs and run-ins with local authority. And there is an analysis of the Thatcher years from the perspective of one who was not too enamoured by the social contribution of the Iron Lady.